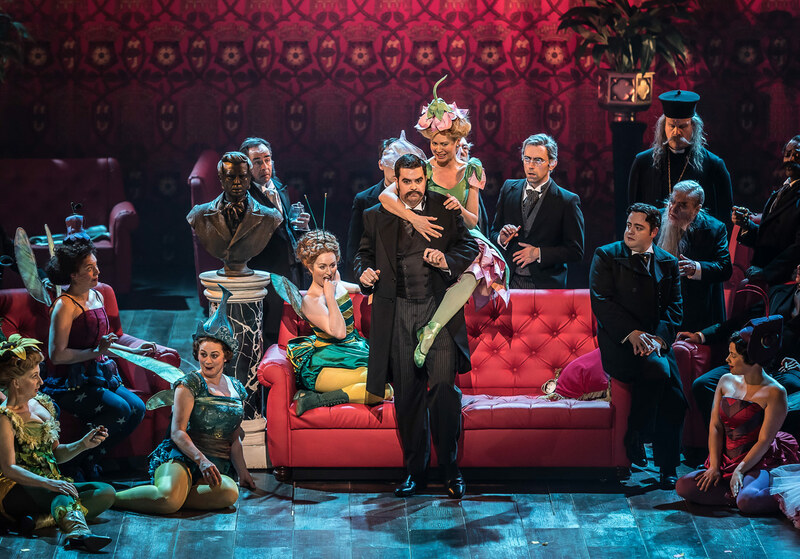 Marcus Farnsworth and Ellie Laugharne in Iolanthe, English National Opera, 2018. Photo: Clive Barda. 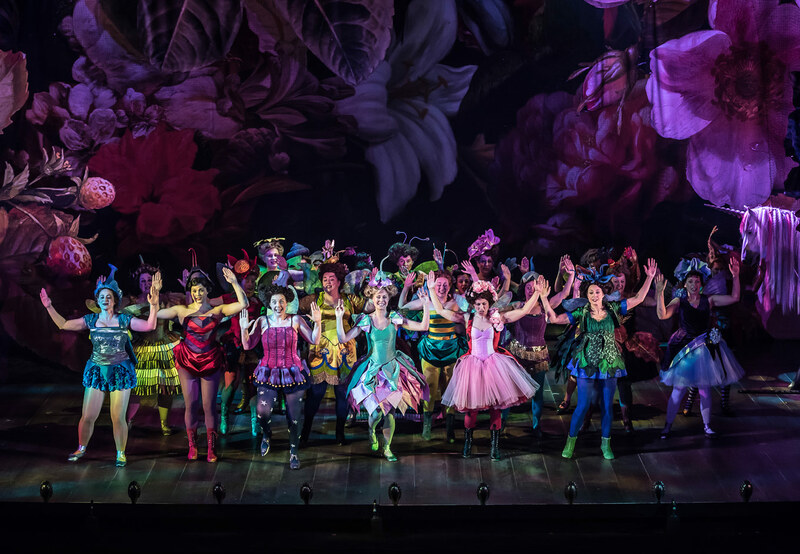 A new production of Iolanthe runs at English National Opera that is as full of gags as it was of colour. The operetta, whose main purpose is to serve as a satirical commentary on 19th-century parliament, follows the story of Iolanthe, a fairy who has married and had a child with a mortal, a crime punishable by her banishment. Iolanthe’s son, Strephon, must become a member of parliament in order to marry his love, Phyllis. Cal McCrystal presents this classic Gilbert and Sullivan show as a storybook fantasy, juxtaposing the chorus of fairies with the members of parliament in a great spectacle of gender wars. The ENO Chorus and cast of Iolanthe, English National Opera, 2018. Photo: Clive Barda. Designed by the late Paul Brown, who sadly passed away before rehearsals of Iolanthe began, the set was full of vivid and colorful flowers, along with gilded Victorian furniture and lush scenes reminiscent of pastoral oil painting. The costumes of the fairies were created with the excitement of a child opening a box of 72-colored crayons. The male chorus of ENO brooded about the stage in dark robes, while our heroes, Strephon and Phyllis, were donned in clothes of an idyllic Acadia. The ENO Chorus in Iolanthe, English National Opera, 2018. Photo: Clive Barda. Proving his virtuosic ability to stage slapstick comedy, McCrystal made use of Richard Leeming playing a Page Boy, running around the stage while being abused by his superiors. 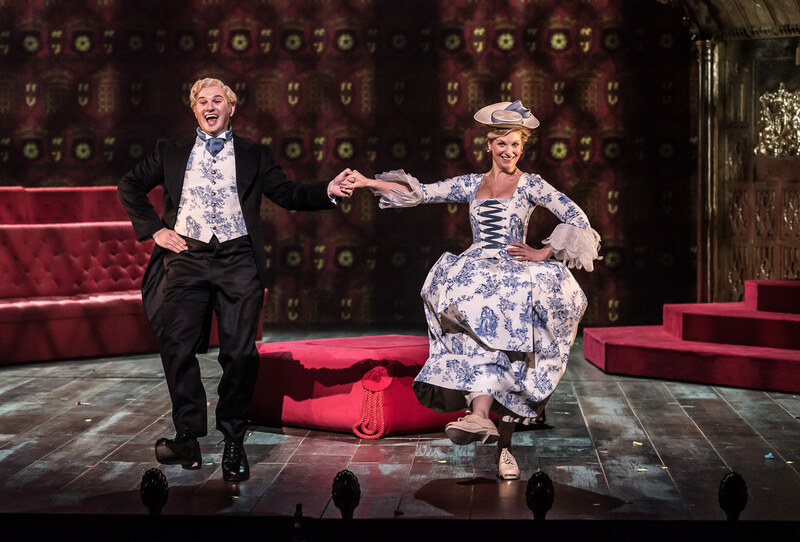 There was a brilliant number of clog dancing from Ellie Laugharne and Marcus Farnsworth, which should surely go down in history alongside the tap dancing noses from Barrie Kosky’s production of The Nose at ROH last year. Richard Leeming, Andrew Shore. 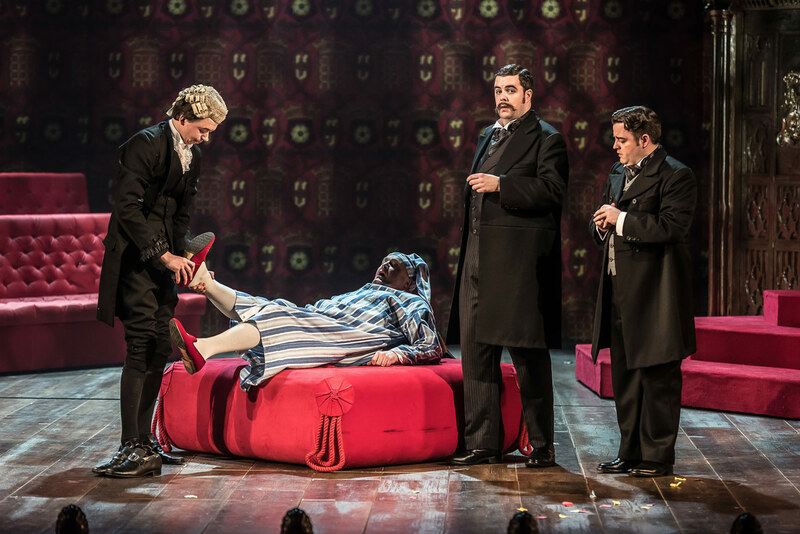 Ben McAteer, and Ben Johnson in Iolanthe, English National Opera, 2018. Photo: Clive Barda. There were cheap laughs as well - seeing an MP with the hair of Boris Johnson was funny once, but the second time was over-doing it. An unwelcome flamingo made its way onto the stage for apparently no reason at all. The two-person cow suit made me feel like I was at a Christmas panto and not the London Coliseum - not to say that’s an entirely bad thing. Vocally, the singers were perfect in their diction, all voices carrying and not sacrificing beauty of tone for clarity of text. That being said, when it came to Andrew Shore’s Lord Chancellor opposite Yvonne Howard’s Fairy Queen, the energy seemed to dwindle. What should have been show stopping numbers merely garnered chuckles from the audience. ENO Harewood Artist Samantha Price was lovely in the title role of Iolanthe, every bit as dainty as a fairy should be. 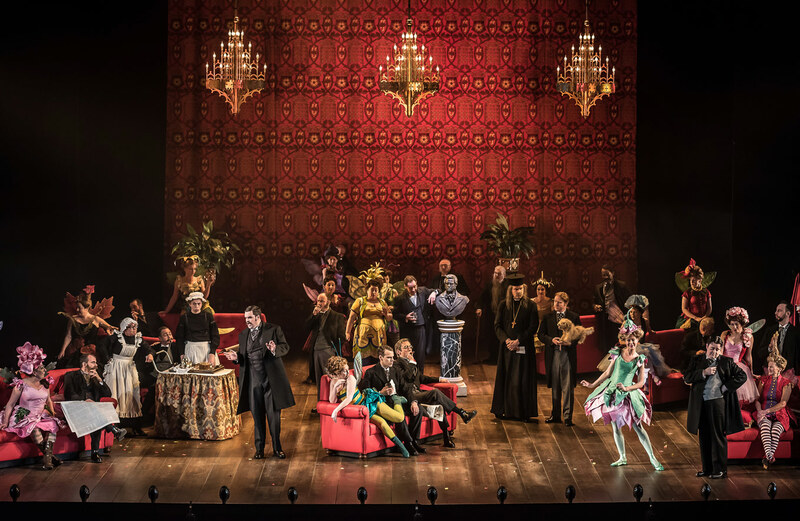 Ben McAteern Joanne Appleby, and the ENO Chorus in Iolanthe, English National Opera, 2018. Photo: Clive Barda. It was pleasing to see an audience so entertained at the Coliseum. I wished the show had been slightly shorter in length, but if you love patter singing, you probably won’t feel the same way. Iolanthe runs through April 7th at the English National Opera.